Security these days, tend to be a priority when it comes to using a smart phone. Over the years, using a simple password has always seem as the best option. Apparently, using simple passwords (figures and letters) seem not to be too secured anymore as someone could be looking over your shoulders while you unlock your phone using a password. The latest technology that seem to be in vogue in regards security unlocking feature is the fingerprint system. While the fingerprint unlocking system seem pretty nice, that can also be overridden. All that’s required is for someone to fully be aware of which particular thumb unlocks the phone and while you are unconscious, the device can be unlocked. If you are looking for something more secured, say hello to the picture password system. Unknown to most blackberry 10 phone users, you can actually use picture password in unlocking your phone. Based on speculations so far, this is the most secured way. I can actually unlock my phone more than 10 times in your very eyes and you still won’t be able to unlock the phone when using a picture password. 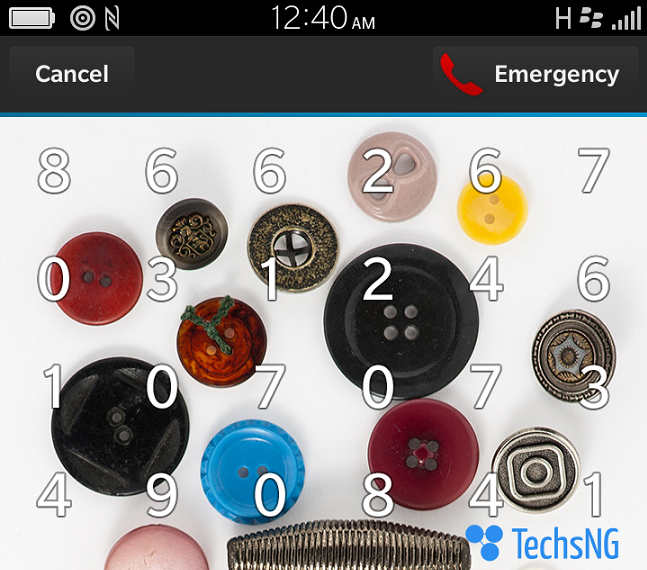 All that’s required is to set a particular position on the picture where your chosen number will be moved to which will in turn, unlock the device. Follow the on-screen instruction till the set up is complete. You should be mindful though. Using picture password security instead of the traditional security system can put you in trouble. How? Getting too accustomed to the picture security system, you can forget your regular password when it becomes important. How do I know this? I have been a victim. I forgot the password and the phone was wiped. That involved clearing every file on the phone which wasn’t a good feet for me, honestly. You can try locking the phone and try to unlock it and this time, you should see the picture password security in action. If at anytime, you probably forgot the picture unlock combination, you can use the simple password system in unlocking the blackberry 10 phone. I have actually been longing for this. Thanks. Am not a fan of Blackberry.